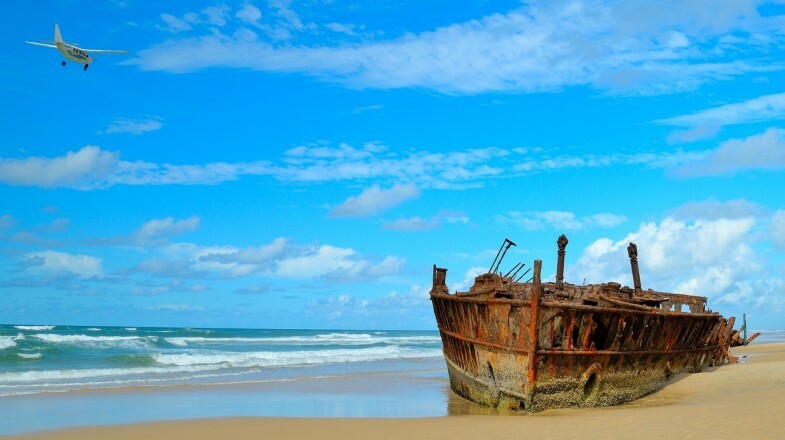 Fraser Island has a 75-mile beach that is also an airstrip for small airplanes. If you’re making a trip to Australia, here’s one thing we know for sure — you’re bound to come back. No traveler ever pays a visit and calls it quits. With 8,222 stunning islands, this diverse country/continent boasts of a widely popular “outback”, award-winning beaches, and picturesque canyons that are all worthy of gracing your social feeds. A harmonious melding of modern cosmopolitan cultures and Aboriginal traditions create a destination that offers a little something for everyone. Even though we’re hard-pressed to select just 12 of our favorite islands in Australia, we’ve done the homework for you. Add these destinations to your itinerary the next time you pay a visit. This island located just off the coast of South Queensland is teeming with wildlife, ancient rainforests, and fresh-water lakes. Its claim to fame? It’s the largest sand island in the world — so large that its 75-Mile Beach is also an airstrip for small aircraft bringing in visitors from the Sunshine Coast. Humpback whales come to play from August to October, but if you’re staying in-land there’s no shortage of fauna to see. Among the many mammals that make this island their home are sugar gliders, wallabies, possums, and a thriving dingo population. Visit between the drier winter months of May and August or during the summer months of September to April for warmer temperatures of 23 – 30° C. January to March are when most rainfall occur. This UNESCO World Heritage site is incredibly expansive. Get up close and personal with the Great Barrier Reef, go whale watching or off-road driving along its "beach highway". The Remarkable Rocks at Kangaroo Island. 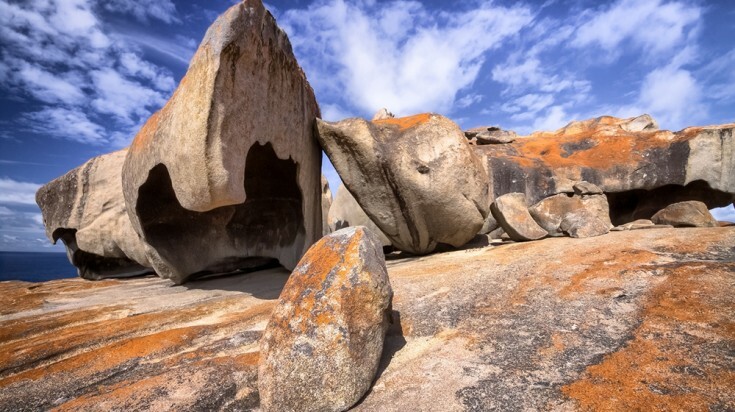 Accessible from Adelaide, Kangaroo Island is the third largest among islands in Australia, and is brimming with wildlife far beyond its eponymous kangaroos. Koalas, wallabies, 9-inch tongued echidnas, and seagoing creatures like sea lions and fur seals all consider Kangaroo Island their home. A visit will have you exploring towering rock formations, windswept cliffs, sugar-gum forests, and rugged shorelines. This is a bucket list destination for nature lovers around the world! Visit during winter from June to September where most flora and fauna come to life. Verdant greenery, gorgeous cascading rivers, and a paradisiacal assortment of wildlife that could possibly blow the Garden of Eden out of the water. If you're in Melbourne, a hop to Phillip Island is just an hour and a half's drive. More than three million travelers visit this island every year for coastal wildlife experiences, cultural happenings, and a flourishing food and wine scene. 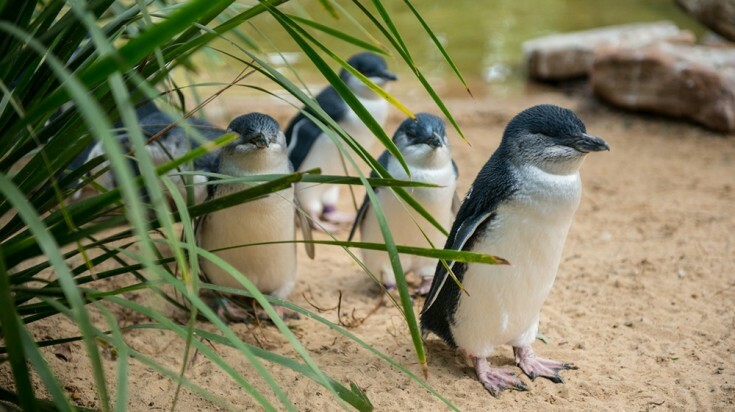 But more than anything else, the island's penguins are the true celebrities of this coastal destination. An army of these aquatic birds’ waddles home to their nests every sunset, beckoning a throng of visitors to watch from the sidelines. If you’re the active type, there’s biking, hiking, sailing, and fishing as well. Visit during the summer months from September to February for patrolled beaches, surfing, and fishing hot spots. For whale watching, come between May and October. A waddle of penguins parades from the sea every day at sunset with the spectacle best viewed via an amphitheater above Summerland Beach. Also, the waves are surfer friendly and seldom gnarly. This tropical island situated right smack in the middle of Australia and New Zealand was undiscovered until 1833 and thus has thankfully avoided modern development, as compared to other islands in Australia. Upscale travelers can enjoy world-class amenities in any of its luxury resorts, while a host of water adventures like diving, swimming, and snorkeling keep everyone active and entertained. The waters are crystal clear and birds of various kinds and colors are aplenty. Most travelers flock in between June to August prompting lodging costs to rise. Come instead between October and April to enjoy warmer temperatures, lesser crowd and less rainfall. For travelers looking to avoid the usual throng of tourists, this island promises exclusivity with only 400 tourists allowed on its shores. A myriad of aquatic adventures and pampering amenities promise no dull moment. 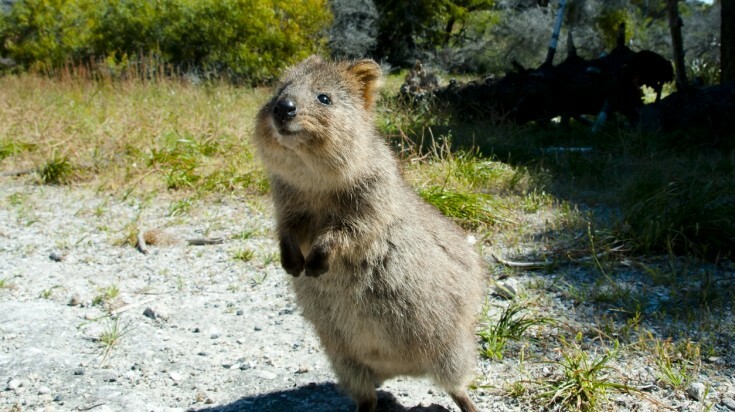 Meet the friendly quokkas on Rottnest Island. Just a 90-minute ferry from Perth is an island overtaken by peacocks, quokkas, 63 gorgeous beaches and 20 picturesque bays. Rottnest Island has been a local favorite among other Australian islands for years now and the reason is no surprise; there’s something here for every imaginable traveler. Pristine beaches are perfect for swimming or snorkeling, wildlife is thriving, live music and entertainment is at its best, and there are lots of opportunity for water sports. This island is a hedonist’s dream come true. Calm seas provide lots of water sports opportunities during October and November, but the autumn season (April to May) is also ideal for travelers looking to skip the summer scorch. Pristine beaches, adrenaline-fueled adventures, whale watching, and a chance to observe the “smiling” Quokka marsupials of social media fame are just some of the reasons to visit this slice of paradise. History has it that this island was so named by Captain Cook because of the magnetic effect it had on his ship’s compass, but we beg to differ; Magnetic Island is so stunning you’re bound to get magnetized. Treasured for its wildlife, almost half of it is a protected national park. This island located just a stone’s throw away from Townsville and can be reached via a Ferry ride. It boasts of 186 types of birds, a large colony of rock wallabies, crocs, turtles, whales, and a dizzying assortment of aquatic creatures. Go snorkeling, fishing, dare to participate in any of the island’s adrenaline-pumping water sports, or just chill and soak in the sun. Come during winter (June to August) when temperatures are at its best. During this season, days reach a pleasant 27° C and the waters are void of stingers. Lush and laid back, this verdant island features bright turquoise seas, gorgeous coastal walking trails, and gum trees that are home to adorable koalas (you’re bound to see some of them). 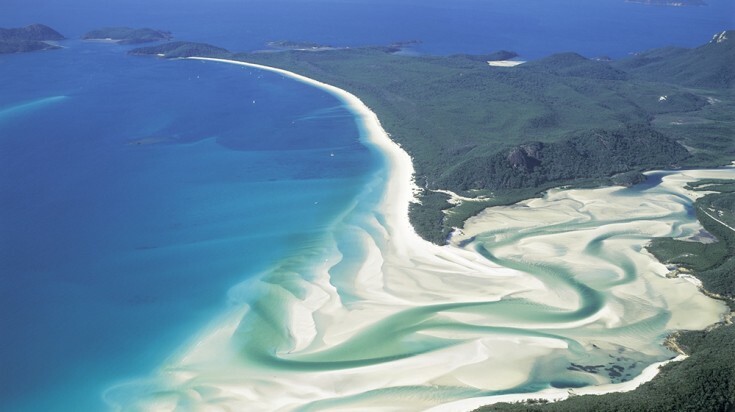 Whitehaven beach is the most beautiful island among the Whitsunday Islands. Highly coveted because of its spectacular landscapes, this destination set along the Great Barrier Reef feature mostly uninhabited islands that are protected national parks, however, four of these island wonders feature resort experiences for every imaginable traveler. Charter a yacht, go bareboating, explore the crystal-clear waters via a jet ski, or just kick up your feet with a sunset cocktail on board. There are many secluded beaches that feature colorful marine life and no matter where you go one thing’s for sure — you’re bound to lose yourself in the experience. September is considered to be the best time to visit for sunny days that reach a maximum of 26° C and the least amount of rainfall. 74 island wonders and a bustling resort industry that can serve anyone from eco-adventurers to luxury travelers promise a one-of-a-kind experience unavailable to other islands in Australia. Oh, and the beaches are drop-dead beautiful. Fitzroy Island is a popular place for snorkeling. 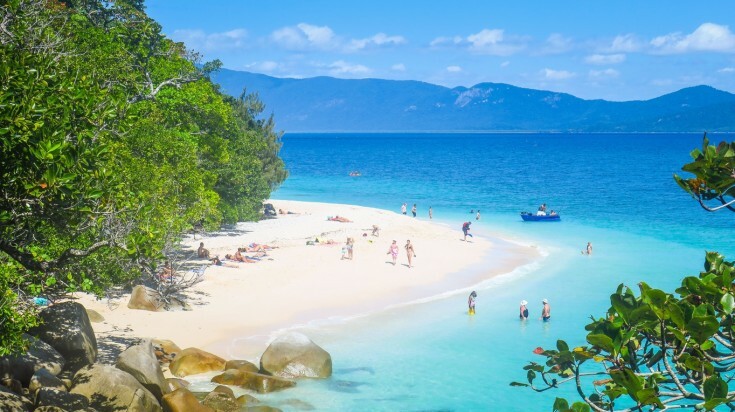 Gorgeous coral beaches, verdant rainforest walking tracks, and towering boulders make Fitzroy Island the perfect respite for holiday vacationers. It’s a popular spot for snorkeling and swimming, thanks to its iconic coral beaches. If you’re here to explore the Great Barrier Reef, the options are endless — hire a professional diver, snorkel around the reef, or charter sea kayaks so you can explore the reef at your own pace. Getting seasick? Take a break from the waters and explore the tropical rainforests via a variety of hiking trails. 97% of the island is a National Park, so you won’t run out of hiking and walking options. August brings with it warm sunny days, stinger-free oceans, and a time to escape school holiday crowds. If you’re in Cairns, this pristine paradise with sheltered waters is only a 45-minute ferry ride away and provides the best access to the Great Barrier Reef. Come for the phenomenal snorkeling and scuba diving experience. 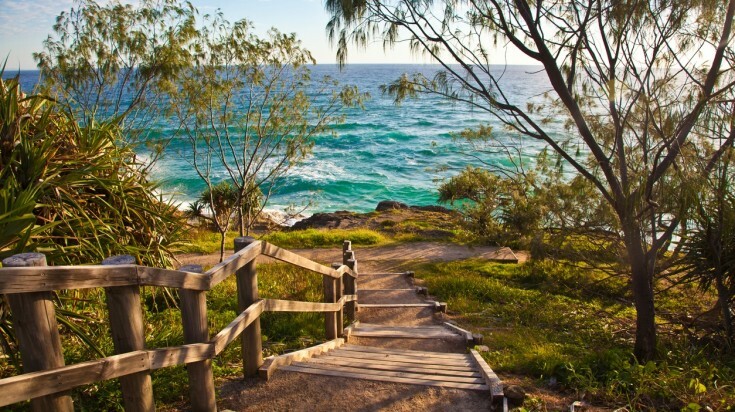 Stradbroke Island is a great getaway from the city life of Brisbane. Take a 30-minute ferry ride from the Brisbane suburb of Cleveland and you’ll arrive at a paradise peppered with powdery white beaches and an assemblage of land and sea wildlife. For day trippers and Brisbane settlers who want a respite from the city life, this little slice of paradise is a prime destination. Explore the Blue Lake National Park to spy on swamp wallabies, ospreys, and skinks, or go whale watching at Point Lookout — steep cliffs that provide excellent vantage points of Humpback whales as they arrive between June and September. The best times to visit depends on what you want to see and experience. Come during the winter (June to August) for cooler temperatures of 12 – 20° C, or during the summer months (December to February) for warmer weathers of 22 – 30° C.
‘Straddie', as it's endearingly called by locals, is the world's second largest sand island and offers beaches with amazing color and clarity, land-based whale watching, great waves, and top-notch places to stay and eat. In Norfolk, waving to everyone you meet along the way is mandatory. Yes, people here are excessively friendly, and this gregariousness is part of the Norfolk experience. Located halfway between New Zealand and Australia, this island features centuries-old convict ruins rife with history, a smattering of birds that will follow you around when you trek, and calm, clear waters full of coral and fish. Seaside activities aside, there's a golf course that's seriously scenic and traditional island fish fry establishments that whip up fresh fried fish. The subtropical climate moderated by the Pacific Ocean offers fewer rains and warmer temperatures from October to March. If you're in it for the heat, come between January to March. 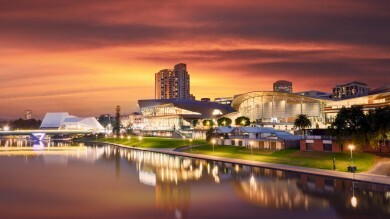 The sublime scenery and cultural architecture make Norfolk a unique destination for travelers who want a different Australian experience. For wannabe castaways who want to explore the best of nature, this 15-hectare cay located northeast of Bundaberg offers relaxing solitude. When other islands in Australia have a plethora of resorts and entertainment options, Lady Musgrave offers humbled down options of just pure nature. Most of the locals here are your neighborhood animals; 22 seabird species and around 1500 species of fish, sea turtles, reef sharks, and manta rays best viewed while snorkeling or scuba diving. Come during the earlier parts of December to spy on nesting birds and turtles. Consider booking camping sites up to 11 months in advance as this island gets fully booked pretty quickly! There are a lot of islands that provide access to the Great Barrier Reef, but this slice of paradise still relatively off the public radar is unique as its lagoon is created by a massive circular coral wall that protects the inner lagoon, offering crystal clear and super calm waters. This island is closer to Asia than it is to mainland Australia, so you'll experience nuances of Malay culture, especially with its unique Chinese island cuisine. Activities abound — from spotting unique birdlife to spying mass crab migrations, whale sharks, turtles, and exploring coral reefs, expect a full itinerary and never a dull moment. The ocean side of the island offers ideal surfing conditions, while golf is also a popular past time at the local golf course. Book a visit during the south-east wind season between April and October for the annual red crab migration and the end of Ramadan cultural celebration. Rare birdlife, extraordinary crab migrations, and pristine white-sand beaches to snorkel and dive in are this island’s selling points. No matter where you find yourself in Australia, the lush outback and world-class reefs are sure to provide an extraordinary experience you’ll be hard-pressed to find anywhere else. It’s a destination for the wide-eyed and the curious. There’s always something new to discover at every corner.